Arch View Lunch Cruise on the Gateway Arch Riverboats. 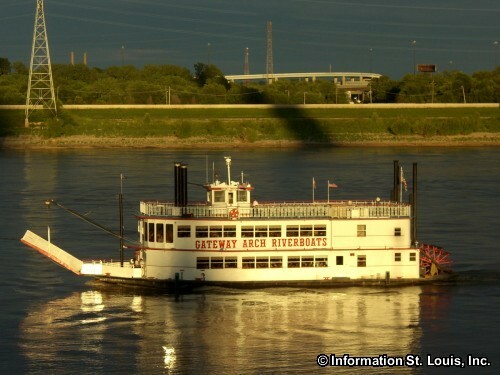 Take a 2 hour lunch cruise and admire the narrated sights along the Mississippi River, the sounds of a live Dixieland band, local craft beer, drink specials and a scrumptious brunch buffet. Reservations are required. See website for details, to purchase tickets online and for any up-to-date information.